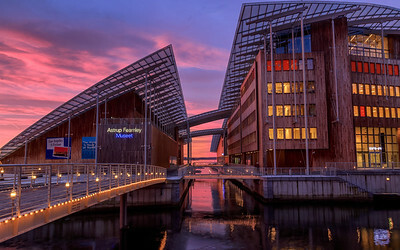 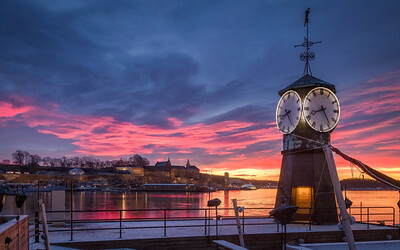 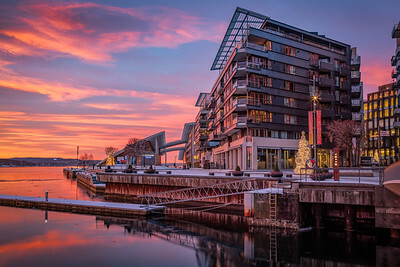 Museum in Oslo's Tjuvholmen neighborhood at sunrise. 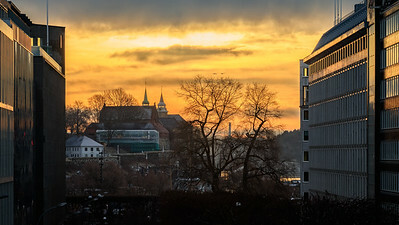 Architecture in downtown Oslo's Tjuvholmen neighborhood. 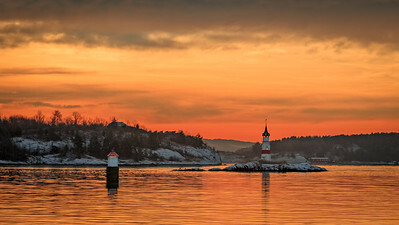 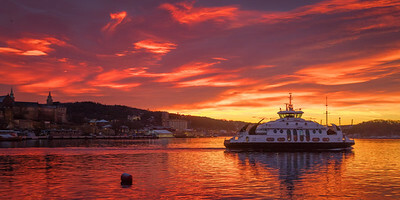 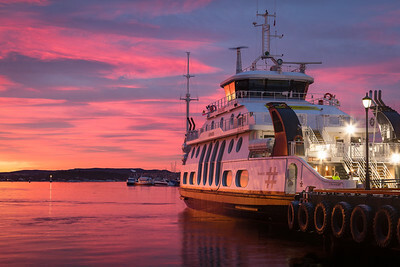 An incredible sunrise in Oslo, Norway behind a ferry departing from the Aker Brygge wharf. 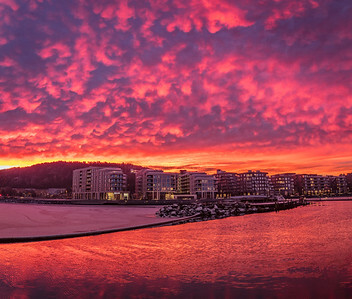 Blazing sunrise clouds at the Oslo, Norway ferry dock. 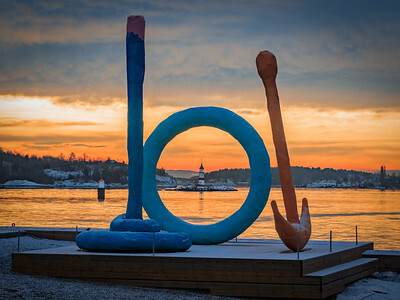 View of Oslo harbor's small lighthouse thru a sculpture. 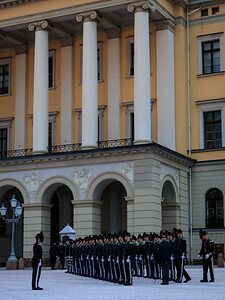 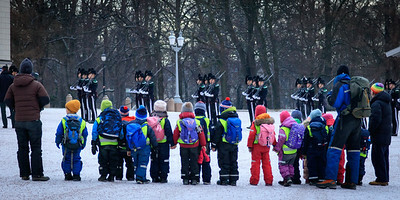 Guards drill at Royal Palace - Oslo, Norway while children watch. 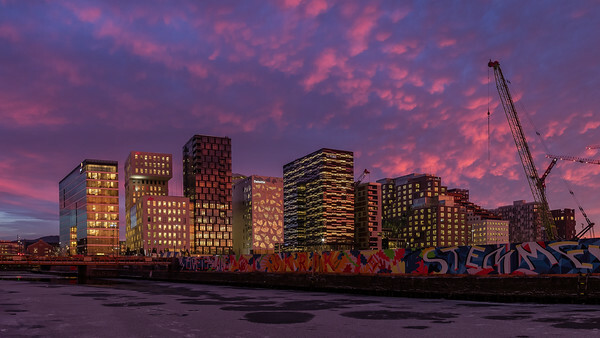 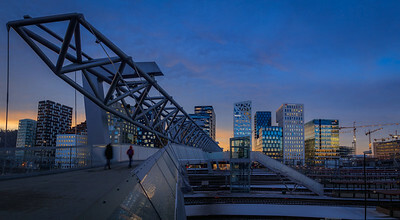 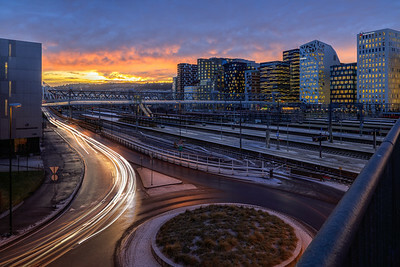 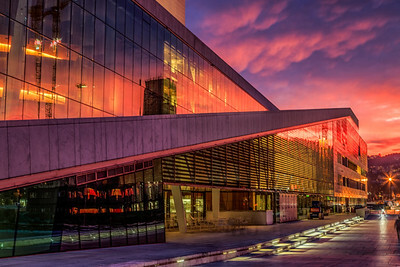 City scene in Oslo, Norway. 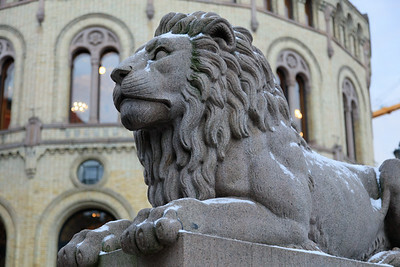 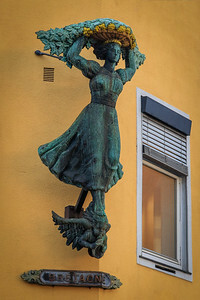 Sculpture in downtown Oslo, Norway. 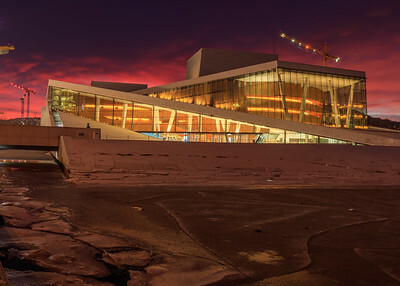 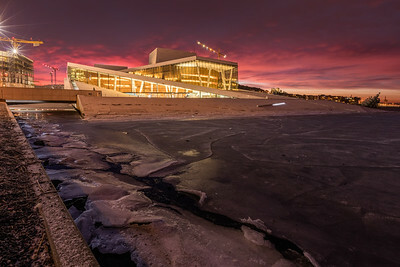 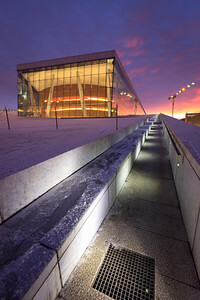 Oslo Opera House - reflecting the light from an insane sunrise. 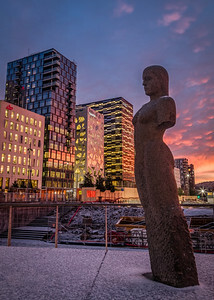 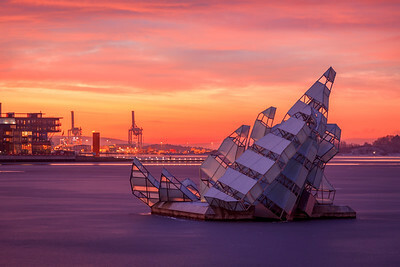 Sculpture in Oslo's harbor - "She Lies" by Monica Bonvicini - based on a romatic-era painting of a shipwreck in a polar ice field.